It isn’t often that I will review a restaurant when trying it during its ‘soft opening’ stage, because all too often the restaurant has lots of kinks to work out. That wasn’t the case at DOMA Land + Sea in Cedarhurst the week before Rosh Hashana, when the restaurant first opened. 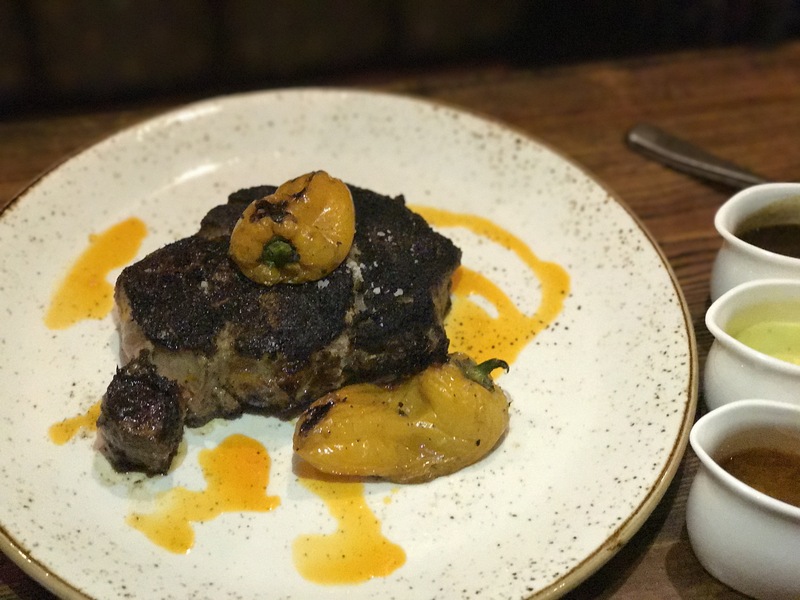 Owned and managed by the owners of Cork & Slice a few doors down (across from the Cedarhurst LIRR station), it’s clear that attention to nearly every detail has been paid at the new high-end steakhouse & fish restaurant. The restaurant is physically beautiful, elevating what was built there previously for Amsterdam Burger Co. and turning it into a high class restaurant with enough room to seat 170 people. The space has a main restaurant area, a large bar with seating, and a large party room in the back that can be used for regular seating or private occasions. Along with your menu, you’re brought out focaccia style bread with a spiced herb olive oil that was superb. The one thing you’ll notice about the menu (which is still being iterated on) is that the prices are quite high, on par with other high-end restaurants in 5 Towns. The menu offers a wide selection of Land (meat & poultry) and Sea (fish & sushi) offerings as both starters and main courses. A kosher ‘surf & turf’ if you will. Before our starters came out, our drinks from the bar arrived: the Blue Mule (Muddled berries, vodka, ginger syrup, lime juice and tonic), great for those who like sweet & ginger-y flavors; and the Smoked Citrus Old Fashioned (Brown sugar cube, rye bourbon, orange bitters) are for those who love the smokey bourbon flavors. We each enjoyed our respective drinks. For our starters we shared the Ceviche Ryba and the Bone Marrow soup. 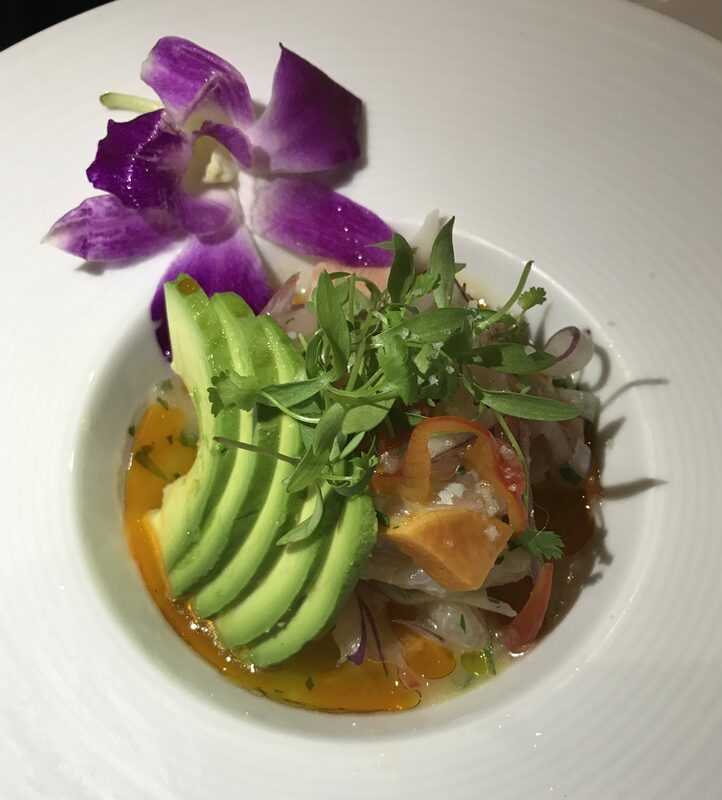 The ceviche was a beautifully presented dish with raw sea bass, snapper, and fluke served with a citrusy punch and avocado. Loved it. The bone marrow soup is an elevated onion soup with rich roasted marrow and chunks of beef brisket. What can be be bad? It was quite good. For our mains we shared the whole Branzino and the Chile Rubbed Delmonico steak. 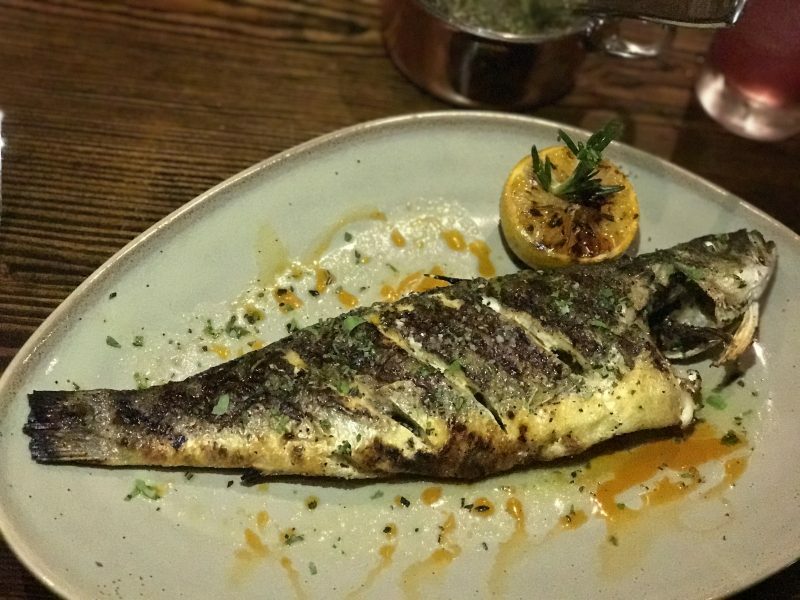 The branzino had a delicious herbed crust on the skin that added the right flavors to the perfectly cooked fish. The Delmonico was a perfectly cooked medium-rare marbled steak topped with colorful sweet peppers. We asked for all 3 steak sauces, and I preferred the chimichurri, while my wife preferred the bearnaise sauce. 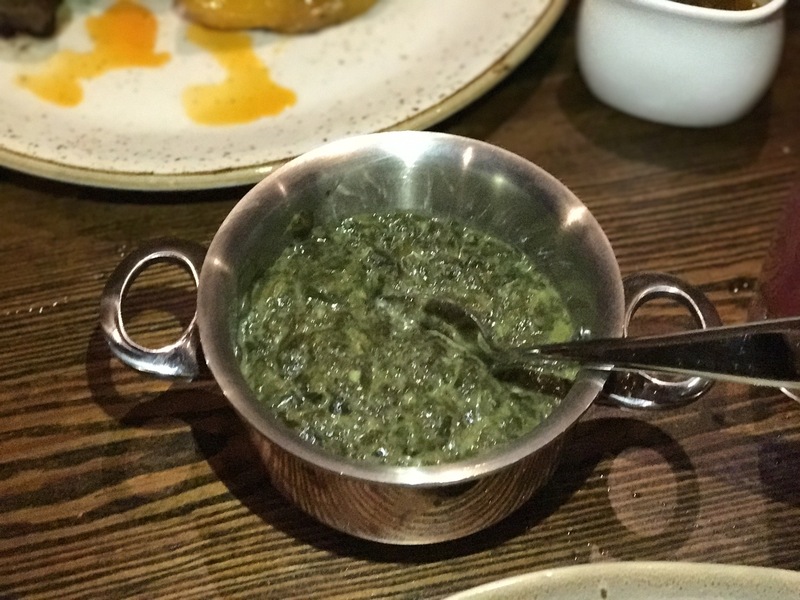 With our mains we enjoyed the Truffled Spinach side, a perfectly creamed spinach dish with the right amount of truffle flavor. Off of their dessert menu, only 2 dessert options were available during the soft opening week. 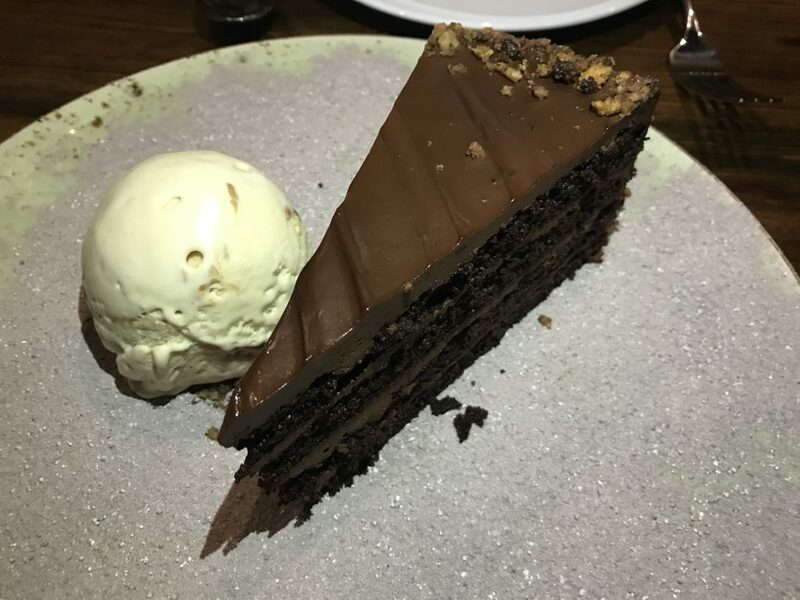 My wife opted for their flourless Blackout cake served with speculous ice cream, which was impressive as a fully gluten-free dessert, especially if you like rich chocolate flavors. Overall, for a restaurant in its first week open, it has impressed, and has already surpassed other high-end restaurants open in the vicinity. So long as the service & food remain consistent, I believe DOMA will be at home in the 5 Towns for a long time.